One thing I never buy anymore is invitations. This is for two reasons: 1) I feel like I have an endless supply of scrapbook paper in my craft closet, and 2) I’m cheap. I’ve made several invites before with spending little to no money including. Some of them include, Bachelorette Party Boarding Pass Invites, Rocker Themed VIP Invites, and Cherry themed Invites. 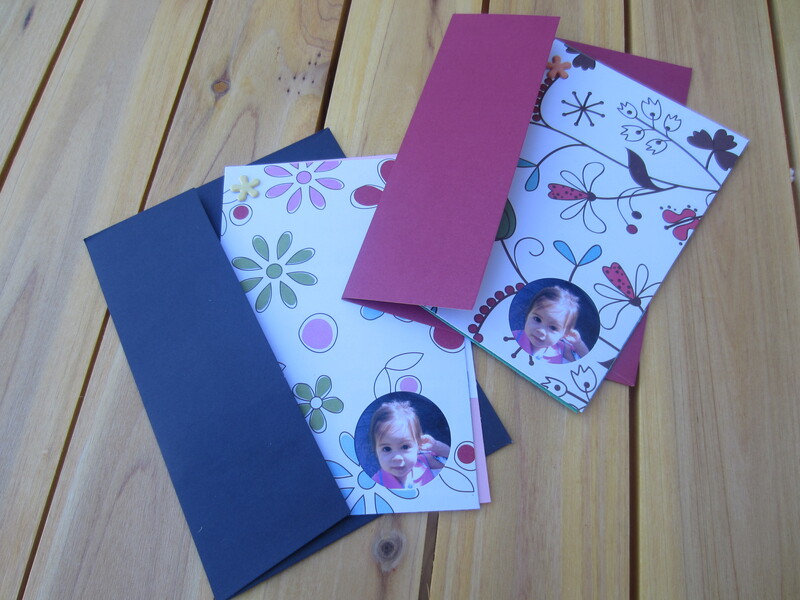 This time, I made girlie invites for my daughter’s second birthday party. I personalized them with a recent photo of her. The only money I spent was for the envelopes. 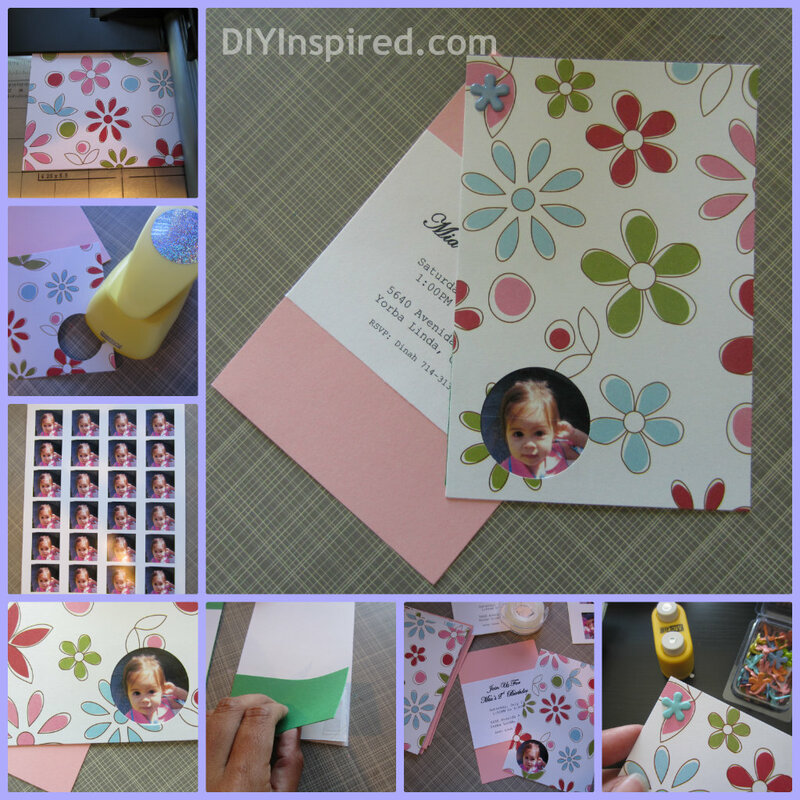 These DIY Birthday Invitations work great for any type of party or event and are very easy to make. First, I gathered several pieces of scrapbook paper that (kinda sorta) matched. And cut them in the desired size for each invite. Budget Saving Tip: I find it most cost efficient to make six 4X6 invites out of one piece of scrapbook paper. I printed my daughter’s picture on photo paper and cut them into 1.5 inch squares. I used a one inch circular craft punch to cut out each circle for the front of the invitation to insert the photo. I printed the information for the party on regular paper, cut them out with a paper cutter and attached it to the inside of the invitation. I attached the two sides of the invitation by using a hole punch and flower shaped brad. This is so cute & clever, Dinah! Love the peephole idea for the photo! Very cute. like the peephole! Those flower brads are cute. where can I find them? You can buy them at Micheal’s craft store. They have so many different options.